New for 2017, the Bushnell Tour V4 Shift Golf Laser Rangefinder offers the same features as the Tour V4 but with the addition of Slope-Switch technology that allows the user to toggle in and out of Slope function, making it Tournament legal. The Bushnell Tour V4 Shift Golf Laser Rangefinder gives you all the information you need to improve your game, including actual yardage and adjusted yardage for slopes. The Tour V4 Shift is accurate to 1 yard with ranges from 5 to 1000 yards and ranges to Flags to 400 yards. The Rangefinder’s Slope Compensation mode indicates how long a shot will play based on the degree of the incline or decline. In previous Bushnell models, this feature had to be turned on or off by going into Mode Change but with the Tour V4 Shift you can turn it on or off much more quickly and easily with the Slope-Switch located on the side of the rangefinder. This rangefinder therefore conforms to USGA tournament rule 14-3/.05, making it tournament legal. The Bushnell Tour V4 Shift Rangefinder features PinSeeker with JOLT technology that provides short vibrating pulses to indicate that the laser has locked onto the flag and shows the correct yardage. 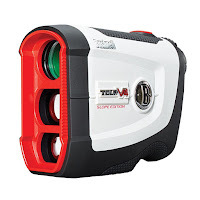 The Bushnell Tour V4 Shift Laser Rangefinder offers 5x magnification and multi-coated optics for clear bright images. The 2017 Bushnell Tour V4 Shift Rangefinder is a nice compact design that easily fits into your golf bag or cart cup holder. It’s powered by a CR2 battery (included) and comes with a premium carry case. 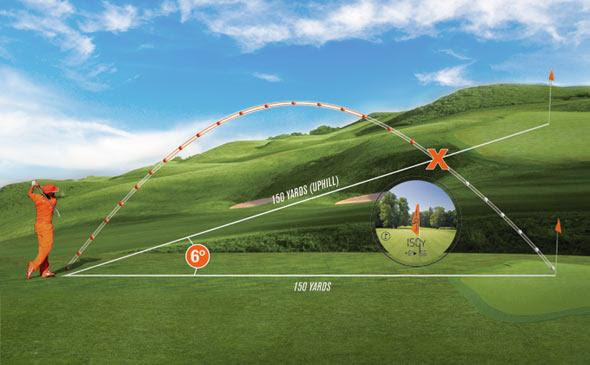 · GPS devices require either pre-loaded course data or a satellite connection whereas Laser Rangefinders work by simply pointing the device at the flag or hazard to get the correct yardage so there’s no course data needed. 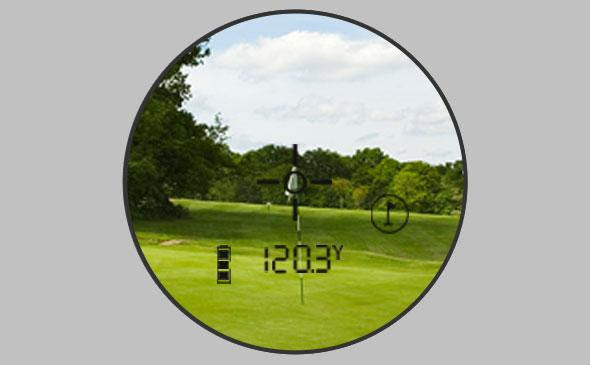 · Laser Rangefinders can be used anywhere in the world and require NO subscription or download fees whereas you typically have to pay subscription/download fees for GPS devices. · The battery on a laser rangefinder will last a lot longer than on a GPS device.